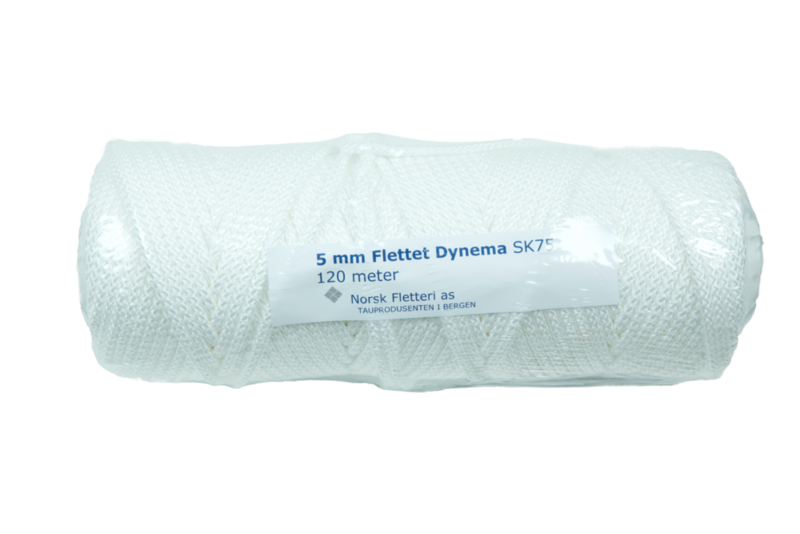 A white 5mm Dyneema Line with 120 meters on a roll, 109/131yd 0.2in. The line has a breaking strength of 2000kg. The line floats and has very little elongation under stress.